Counterfeiters are everywhere. Learn how to guard yourself against those scoundrels by reading through this guide. 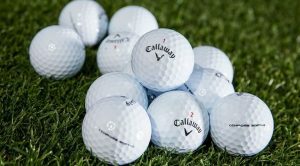 Purchase Callaway Golf items from a seller with a high feedback score (1000 or up) and if at all possible from someone who has his/her own golf store online (on eBay or other auction sites). These kinds of sellers are most likely genuine. Many legit merchants offer a money-back guarantee, provided that the equipment is returned within a specific time frame. This gives you the opportunity to have a shop owner or golf professional closely examine the item and verify its authenticity. Ask the seller to provide close-up pictures of the product at different angles (head, crown, face), as well as a detailed account of the item’s condition, grip type, shaft type, and other features. Check the merchant’s feedback rating and read the reviews. If you see even one review that says it’s fake, don’t place an order for any item under that seller. Ask the seller for serial numbers for verification purposes. 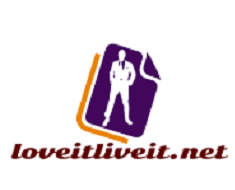 If they cannot provide one or are unwilling to do so, then move on to the next seller. Don’t hesitate to ask the merchant any questions if you have doubts. If any aspect of the product gives rise to suspicion, then just let it pass. Most online shops have plenty of sellers for the exact same item so you don’t have to dwell on a single one. Preferably, don’t ever buy Callaway Golf products (or any product for that matter) made in countries that manufacture fake products. 15-20% of all products coming from these countries are imitations and it just isn’t worth the risk. It is also important to have buyer protection such as PayPal or other payment service in case you receive a fake item. Do not pay with money order or a check as there is little to no possibility that you will get your money back. If you feel like you’ve been duped, follow the steps below to try and get a refund, and possibly encourage the offender to stop doing his malicious acts. If the Callaway Golf item you received is fake, leave a negative review before the ad gets removed. If you used PayPal to pay for the counterfeit goods, file a customer complaint directly to PayPal. They investigate all complaints so wait patiently for their response. After filing a complaint, proceed to complaint transaction (still at PayPal’s site) and escalate your complaint to a “claim.” Doing so will freeze the account of the seller until PayPal and/or the auction site have sorted out the information. Once the item arrives, check it immediately and compare it with the same item on the Callaway Golf website (or at your local pro-shop). Do they look exactly alike? Are the logos and shading similar? Are the serial numbers present? Here are things you can do to test the item’s authenticity. The item’s serial number contains 10 digits. Counterfeits usually have more or less. Contact Callaway’s customer service or visit their official website to check whether the serial number on the item is real or just made-up. Genuine Fusions have an evident seam located near the clubface’s perimeter. Counterfeits do not have it. Genuine Fusions don’t have numbers on the clubface; some counterfeits do. Compare the font of the numbering on the sole of your club with that on a club from a local golf shop. If they don’t match, the item you got is fake. The color of the shaft logo must be charcoal gray and not anything else. Authentic Callaway Fusions are crafted from titanium or tungsten, to which magnets do not cling. If a magnet sticks to the clubface, the club is likely made of steel or other low-grade materials, and is definitely fake. Hopefully, you will never have to suffer the pain caused by counterfeiters by keeping these tips in mind. If anything, you can always count on RockBottomGolf to provide you with the best and genuine Callaway Golf sporting items. Check out the website and take advantage of the great deals today! Here we are provide tips avoid counterfeit callaway golf products. 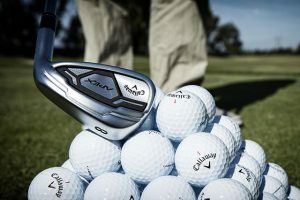 You can visited our website and found all brands golf accessories, like Callaway Golf, Taylor Made, Cleveland and many more .